Board certified by the American Board of Internal Medicine and Subspecialty of Rheumatology. 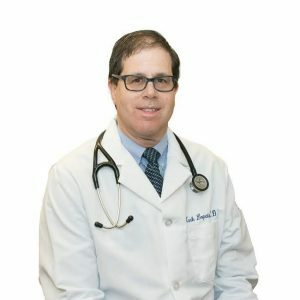 Clinical Assistant Professor of Medicine, Temple University Hospital, Philadelphia, PA.
Clinical Associate Professor of Medicine, Abington Hospital, Abington, PA.
Chairman of the Montgomery County Medical Society; previously served as Chair of the Montgomery County Medical Legal Committee and the Montgomery County Task Force on Mediation. 2nd District Trustee on the Board of the Pennsylvania Medical Society. Active in the Arthritis Foundation, served as Medical Advisor for annual Arthritis in the Prime of Life Symposium. Lectured nationally for the Association of Rheumatology Health Professionals and at the National Convention of Nurse Practitioners. Lectures frequently on the topic of patient-physician communication and served on Abington Hospital’s Task Force on Communications. Medical Doctorate (MD), Medical College of Pennsylvania. Postdoctoral training included an internship and residency in Internal Medicine at Medical College of Pennsylvania and a fellowship in Rheumatology at Thomas Jefferson University Hospital, Philadelphia, PA.